This recipe it not hard to make, but it tastes like there was a lot to it, you just have to make sure you use quality ingredients and sound cooking technique. I started off by making the Harissa Sauce. 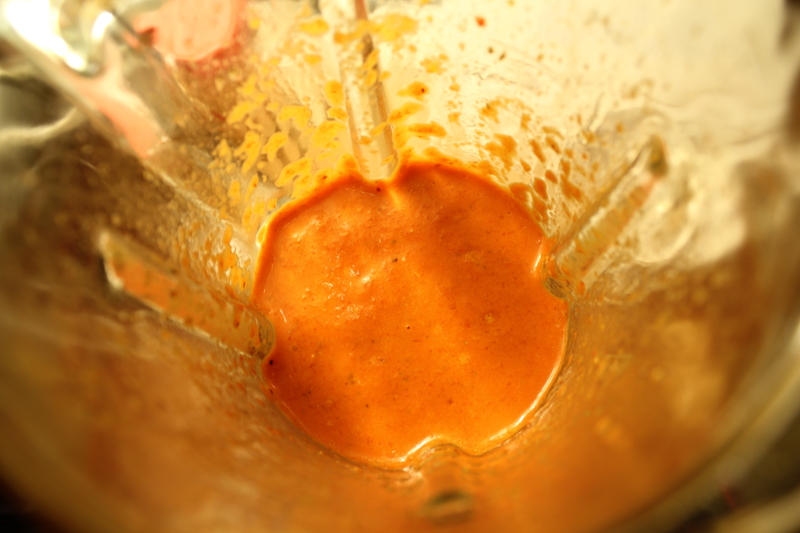 Essentially you toss the Roasted Red peppers, garlic gloves, salt, ground Cumin, ground Coriander, orange juice, orange zest, red pepper flakes, and olive oil in a food processor or a blender and blend to a paste(While the kids pretended to blend up some sauce too). It doesn’t have to be a thick paste but it needs to be thoroughly blended. There are a few tips and tricks that you need to implement to get the most out of this sauce. First, the Roasted Red Pepper. You have two options here; buy them roasted or roast yourself. I don’t really think there is a big difference to flavor when roasting your own. It can be cheaper, and store bought roasted red pepper often are packed in oil. 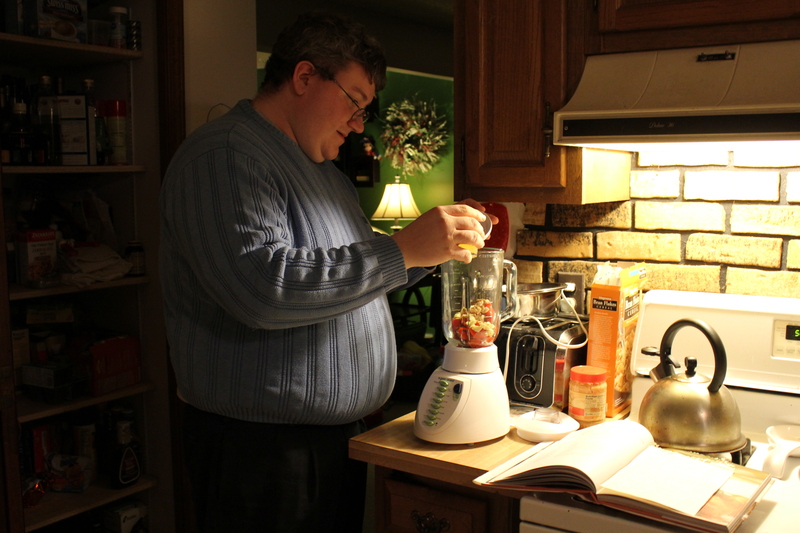 In this recipe we are blending the pepper with oil so this is not a big deal. Just make sure you hold back some oil when you blend to compensate for the oil on the pepper. Besides saving money, I also will roast my own if I wouldn’t want oil added to the recipe, like on a pizza or to use in a stuffing. Another ingredient that can give your sauce a boost if you treat it right is the spices. I always try to use whole spices whenever I can. Ground spices last about 6 months at peak flavor. That doesn’t mean 6 months after you bought them either. What if the odd spice you buy at a grocery store was sitting on the shelves for a few months already? The clock has already been ticking on your spice being past its prime. Whole spices have a longer shelf life since there is a trick to awakening those essential oils that are trapped inside. You have to toast the spice over low heat for a couple minutes. This will activate the essential oils and the spice will taste like new. Don’t try this with ground spice, you won’t like the result, trust me, it’s a disaster. What do you do with these whole spices? If it’s a small batch, I use my Mortar and Pestal. for large batches, I use a nice cheap coffee grinder as my spice grinder. 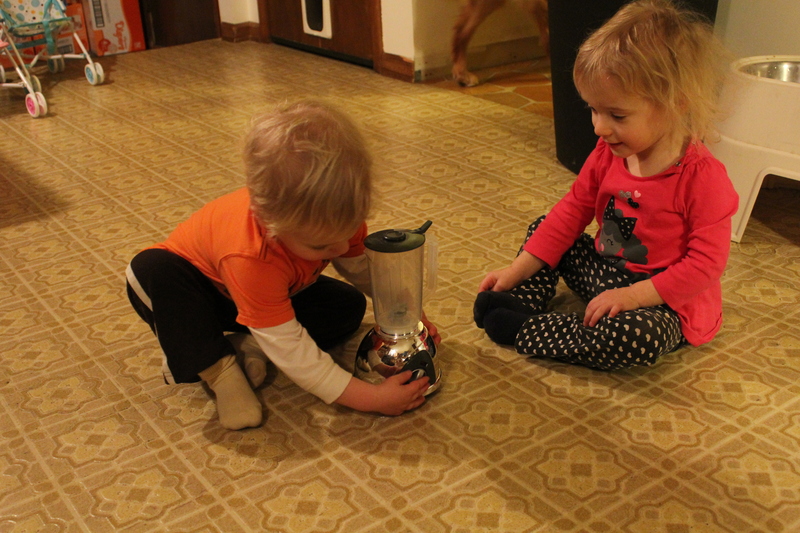 (If you want to grind spices and coffee, buy two grinders, one only for spices, one only for coffee.) Also you need orange juice and orange zest. Buy a fresh orange then zest and juice it. Dry orange zest and orange juice from a carton cannot compare to fresh. The tastes are really muted, carton orange juice is okay for drinking but not for standing up to other ingredients in a recipe. 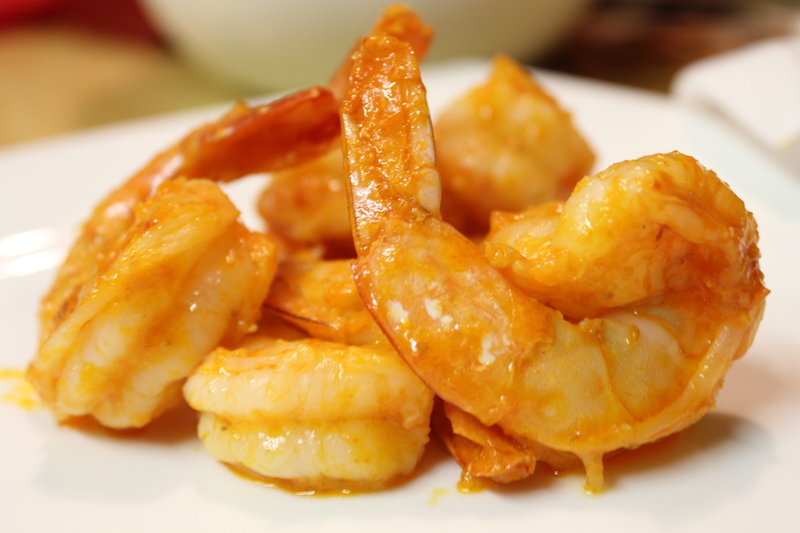 Now that we have our delicious sauce, time to move on to the shrimp. This is easy. Melt some butter in a saute pan, let the butter bubble. Once the bubbling slows, stir in 2 tablespoons of the Harissa sauce. Toss in the Shrimp and saute for a couple minutes each side. Shrimp cooks quick and goes from succulent to rubber if you cook a minute too long so I would not recommend tossing them into the pan and walking away. Don’t forget to devein the shrimp either. 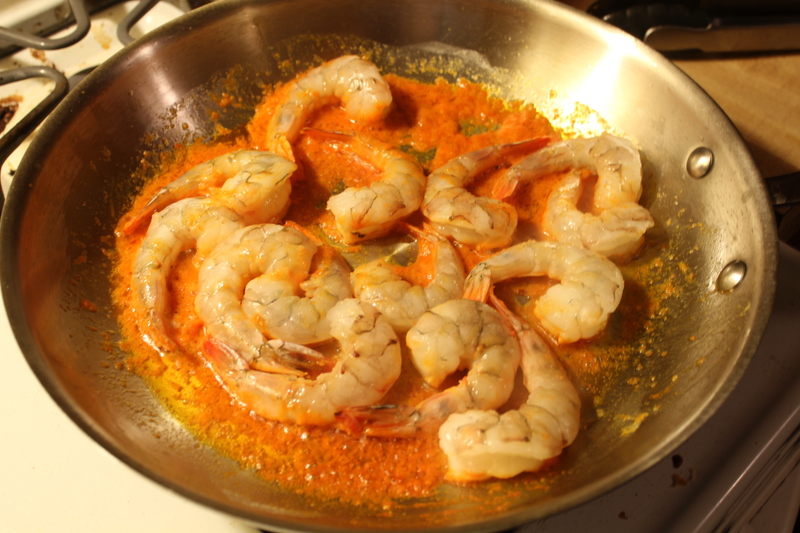 Once the shrimp is done test the sauce to see if salt is needed. Remove from the heat and serve on its own or over some rice or pasta. The sauce on from this recipe can be used on more then shrimp, try chicken or pork, maybe even some veggies. Try it out! 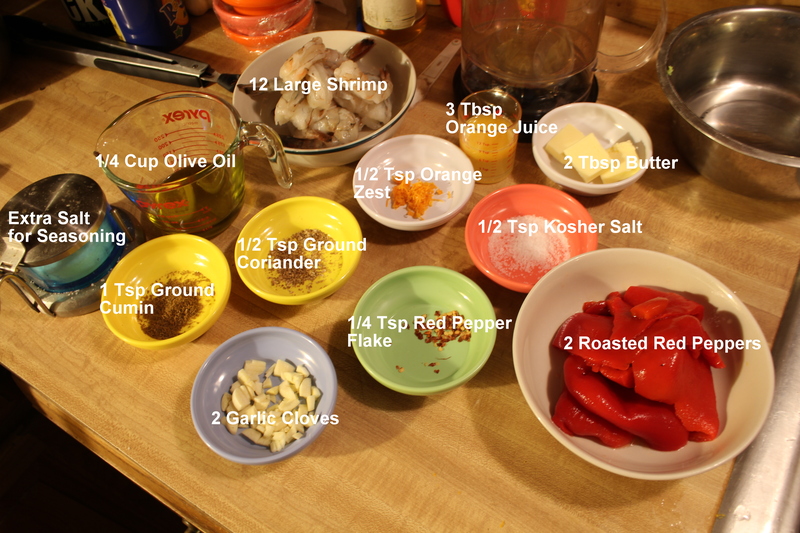 This recipe was great, easy to make, reasonable quick, excellent citrus and red pepper taste. The sauce saves well also in a clean sanitized jar. My kids love shrimp so Catherine and I had to give up quite a bit of our meal to keep the peace. I guess it’s better then having picky eaters, I’ll just have to cook more the next time I make this……which I definitely will!